February 4, 2018 — Links International Journal of Socialist Renewal reposted from Free Edwin Espinal Campaign — Long-time Honduran activist Edwin Espinal has been jailed on charges related to protests against election fraud in Honduras. Due to his activism, he has been subject to State harassment, violence, and threats since the 2009 coup d’état. Immediate action is required to push for Edwin’s release and to ensure his safety. Long-time Honduran activist Edwin Robelo Espinal was arrested by police on January 19, on the eve of a week-long nationwide strike. Edwin faces a laundry list of trumped up charges: arson; property damage; and use of homemade explosive material. Edwin is also under State investigation for terrorism and criminal association related to damages to the Marriott Hotel, a multi-billion dollar US chain, during a January 12 protest in Tegucigalpa. Thousands of Hondurans from all walks of life attended the January 12 action to protest the election fraud that robbed Opposition Alliance presidential candidate Salvador Nasralla of his victory in the November 26, 2017 general elections; the killings of more than 30 anti-fraud protesters and bystanders by state security forces; and the arrests of dozens of political prisoners during the ongoing post-electoral crisis. Edwin’s arbitrary arrest occurred in the context of the election fraud endorsed by the US and Canada, and designed to keep current President Juan Orlando Hernandez in power. Edwin is currently in pretrial detention. At the end of his initial hearing inside military facilities on January 22, the judge ordered pre-trial detention and sent Edwin to La Tolva, a high-security prison. The prison has extremely restricted visitor access, is run by a military Coronel, and prisoners are only allowed one-hour of sunlight every two weeks amongst other horrific conditions. Although the case has been appealed by local Honduran human rights organization COFADEH, Edwin could remain in detention for two or more years waiting trial. Edwin is an easy-going, kind man who draws young people of all ages to him. Edwin fiercely believes in organizing, supporting all forms of resistance, and solidarity with Honduran social movements and groups. He has never lost hope for change in Honduras. Edwin’s strong and relentless conviction is what the Honduran government fears. Because of this, since the US- and Canadian-backed military coup in 2009, Edwin has been a constant target of State repression and harassment. In 2009, Edwin’s partner, Wendy Elizabeth Avila, was killed after excessive exposure to tear gas when State forces violently evicted thousands of protesters gathered at the Brazilian Embassy to welcome ousted President Manuel Zelaya back into the country. In 2010, Edwin was abducted and tortured by Honduran police, who were later acquitted – in the corrupted legal system - on all charges for their abuses. One month before the fraudulent, violent 2013 elections, Honduran Military Police and canine units brought in by the Public Prosecutor’s Office illegally raided Edwin’s family’s home, claiming that he possessed drugs, money, and weapons. At the time, Edwin was involved in a community movement to stop the privatization of public soccer fields in his neighborhood used by impoverished youth with limited recreational spaces and resources. In 2015, Edwin’s mom died in the social security hospital as a result of the $350 million dollar looting of the Honduran Social Security Institute (IHSS) orchestrated by the National Party, in power since 2010. Edwin has been detained more than a dozen times since 2009 and has been beaten by security forces. The most recent beating was in December 2017 when he participated in a protest against election fraud in Tegucigalpa. As a result of this constant persecution, the Inter-American Commission on Human Rights (IACHR) granted Edwin protective measures in 2010. The measures were renewed in 2013, shortly after the illegal raid on his family’s home. Edwin has been interviewed by Democracy Now!, Al Jazeera’s Fault Lines and in the documentary Resistencia. His story has also been featured in articles published by Truthout and POLITICO Magazine. Edwin’s current detention on trumped up charges is one more example of systematic political persecution and targeting of anti-fraud protesters and political opponents of the government. The illegitimate and corrupt government of Juan Orlando Hernandez is targeting its own citizens – people like Edwin – while doing nothing to investigate the hundreds of killings and arbitrary arrests by State forces of social movement activists, protesters, journalists, lawyers, etc. The legal proceedings against Edwin have completely violated Honduran law and due process. The case is being heard in “national jurisdiction” courts that, according to the charges against Edwin, have no jurisdiction over the case. The judge presiding over the case is the same judge that ordered the raid on Edwin’s house in 2013, which, according to Honduran law, is illegal. Edwin’s legal representatives were given one day (a Sunday) to prepare his defense and he was later sent to prison to await trial, which could take years. For these reasons, the trumped up charges against Edwin are a clear example of political persecution against a political opponent the Honduran government has targeted for years. We demand Edwin’s immediate release, as well as that of the more than 40 political prisoners throughout the country, and that all the trumped up charges be dropped. * That Edwin be transferred to a detention center as determined by COFADEH (the Committee of Relatives of the Detained-Disappeared in Honduras), which has provided long-term legal and human rights support for him since 2009. Edwin is currently being held in a jail run by a military officer, and the facility has extremely restricted access for visits by family, friends, and human rights groups. These visits are crucial to help guarantee his safety and well-being while detained. To date, his family and his lawyers have not been able to visit him. * That Edwin’s case be transferred out of the “national jurisdiction” courts and into the regular court system. 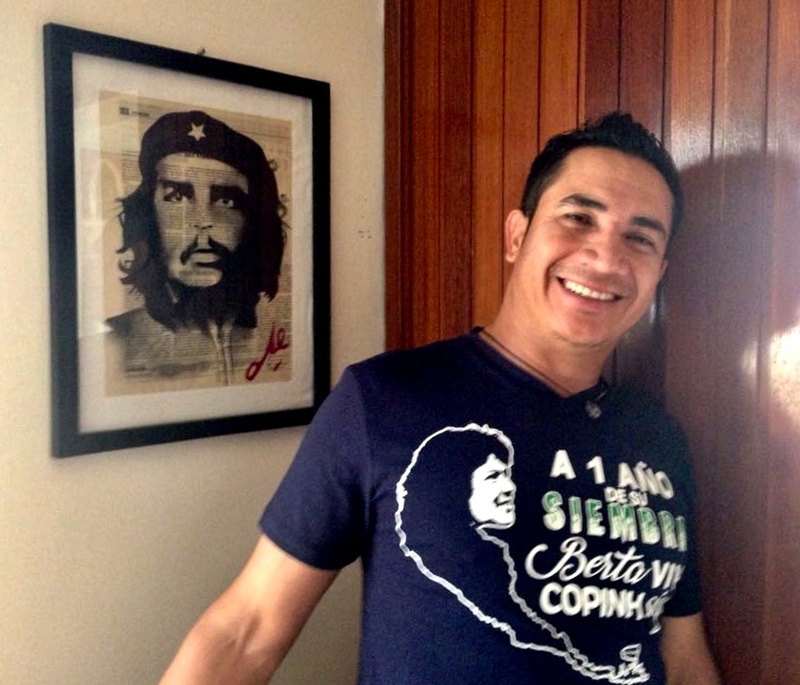 * We urge human rights delegations, journalists, and investigators to visit Edwin and other arbitrarily detained political prisoners experiencing repression in the context of the post-electoral crisis and the imposition of the Juan Orlando Hernandez regime. * Financial support for Edwin’s family is needed as they seek justice and work to ensure his safety and demand his release. * Contact Honduran representatives. See list below for contacts and demands. * Immediately drop the trumped up charges against Edwin and other political prisoners. Grant the appeal for Edwin’s case which would overturn the January 22 court decision which sent Edwin to prison to await trial. * Transfer Edwin to a detention center as determined by COFADEH. * Transfer Edwin’s case out of the “national jurisdiction” courts and into the regular court system. January 30, 2018 — Links International Journal of Socialist Renewal reposted from Dawn News — The case of the assassination of renowned indigenous environmental activist from Honduras Berta Cáceres and the attempted assassination of Gustavo Castro in March 2016 was denounced worldwide, but despite the massive international attention and pressure, the case remains in impunity. Demanding justice for Berta Cáceres, Gustavo Castro, their families, their comrades and COPINH, is to demand justice for all victims of racist, capitalist, patriarchal state violence against those that dare to dream and fight for a world without injustice. Here is a brief update from COPINH on the beginning of the trial, and below a statement from COPINH about the coming two year anniversary of the assassination of Berta. On January 30, two hearings were held to swear in two specialists (a financial analyst and a telecommunications analyst) proposed by the District Attorney prior to the trial of introduction of evidence. As of these hearings, the legal process of the case of the comrades Berta Cáceres and Gustavo Castro will be carried out in the Court of National Jurisdiction, with a set tribunal made up of three judges. In summary, the hearing of swearing in the experts is reflected in the situation of the country: the District Attorney in supposed representation of the common interests, acting in a timid manner in front of the powerful. Capital, represented by the private defense attorneys of the criminals from DESA, obstructing the possibility for the search for the truth. And lastly, as a living reflection of Honduras, the room was militarized with members of the army who carried assault weapons trying to intimidate the spectators. This hearing was the beginning of the trial of the case of Berta, a taste of the torturous legal process that does not even attempt to name the intellectual authors, but exonerates the State saying that justice was made in this emblematic case of Honduras. The hearing to swear in the experts was suspended to fulfill the desires of the defense, amongst those, the private representation of Sergio Rodríguez (social, environmental and communications manager of DESA) composed of exclusive lawyers, Celeste Cerrato and Jair López and additionally by the lawyer Juan Cantillano who had accused comrade Berta in representation of DESA in the past. The hearing will resume today February 2. The hearing to show evidence is still suspended. Today marks 23 months since the assassination of indigenous leader Berta Cáceres and we are about to reach the second anniversary of her passing. We remember this sister on these days, with many people eager to know how far the case has progressed over these two years and what has changed in Honduras with the revelation of the extensive human rights violations by extractive corporations who profit off of energy production. As of now, COPINH continues to struggle for true justice and to push, as a first step, to break the media silence around her case and confront the irregularities that permeate the process. In May of this year the preventative detention* for the eight people detained in 2016 will expire, including the direct perpetrators of the crime as well as intermediaries such as DESA employee Sergio Rodríguez and armed forces major Mariano Díaz who coordinated the assassination and served as an instructor for the military police. At this point the Honduran Attorney General and judicial authorities are flailing around desperately to try to move through and close the case by sentencing only those who they have detained. The final arguments are expected in the case halfway through this year. Notwithstanding, the organization, the Honduran people and the international community remain unsatisfied in the face of a lack of action to capture the masterminds who are linked to the powerful and untouchable Honduran oligarchy. It is worth mentioning that today is the swearing-in hearing for the specialists proposed by the Attorney General to analyze the telephone recordings and financial information in the national sentencing tribunal, which will decide the case. Regarding the second point about what has changed in Honduras since her death, very little can be said. The concession remains for the hydroelectric dam ferociously defended not only by private enterprise but also by the renewable energy producers who continue to sew hatred against the organizations that challenge the installation of numerous deadly projects, ruining their lucrative business. The government wants to secure the investments of national and international corporations in this business by approving a deceitful law supposedly about “prior, free and informed consent for indigenous peoples” but has been unable to take the final step after strong questioning at a national and international level. The power structures that protect the deadly project against which Berta Cáceres fought, have strengthened themselves with electoral fraud, carried out to ensure continuation of the status quo and protection of private economic interests. What Berta Cáceres contributed to today’s Honduras is the national uprising that continues without giving up on the same vision that would be on at the front of Berta Cáceres’s mind: the re-foundation of Honduras that no president will be able to carry out, that can only be carried out by the people, the same people who didn’t give up in the streets even as they confronted the violence of the military and their killer weapons, which is the only path to profound change for Honduras. In the meantime COPINH is convening the “25 years of Life and Justice Gathering” for this 22nd-24th of March to deepen work around the case of comrades Berta and Gustavo and talk about the struggle to this point and what the future holds for Berta’s vision in a country that needs it now more than ever. *The preventative detention can be extended just once for six more months, which would expire in November of this year.